Japan's Takeaki Maruyama's dark, deep and sweltering pseudo dubstep has been around for longer than you might think. Before being signed early on by Mala for his own Deep Medi Muzik, Goth-Trad was releasing cutting-edge bass science on labels such as DNA Kalacta and Popgroup Recordings. 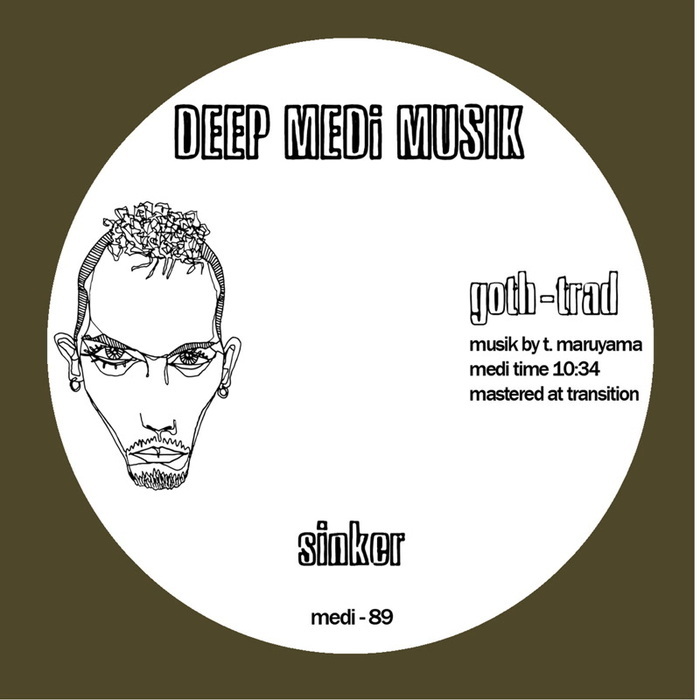 His return to Deep Medi is a significant one, and "Sinker" is likely to be one of the best tunes that he's made in a while - those bouncy, fluttering swirls of mutant bass are docile yet vibrant and possess a sort of subtle menace to them. "Sunbeam VIP", however, is a pure corner-dweller's delight, a brooding little bass monster with enough subs to gravitate you off your feet and into hyper-space. Another winner from both artist and label. Quality assured.